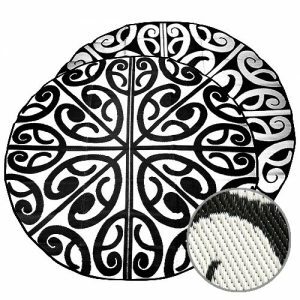 WHAKA WHENUA - Maori design cushion covers & bean bags for all occassions! 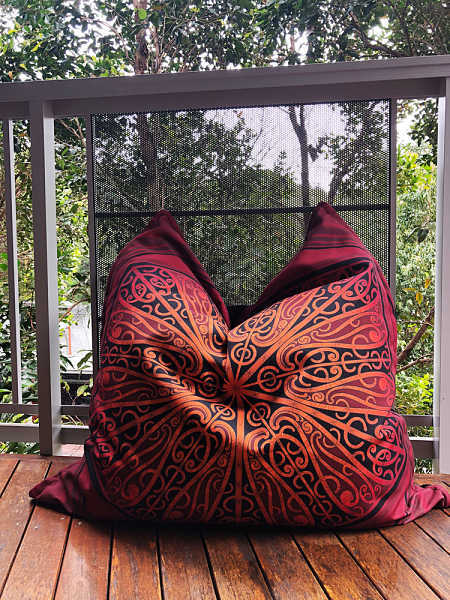 The story behind the Whaka Whenua cushion cover / bean bag is one that is related to the idea of creating a strong interwoven community at our place of belonging, Mother Earth, or Papatuuaanuku. Whenua are the strands of fibre woven into the mats where community gatherings take place. 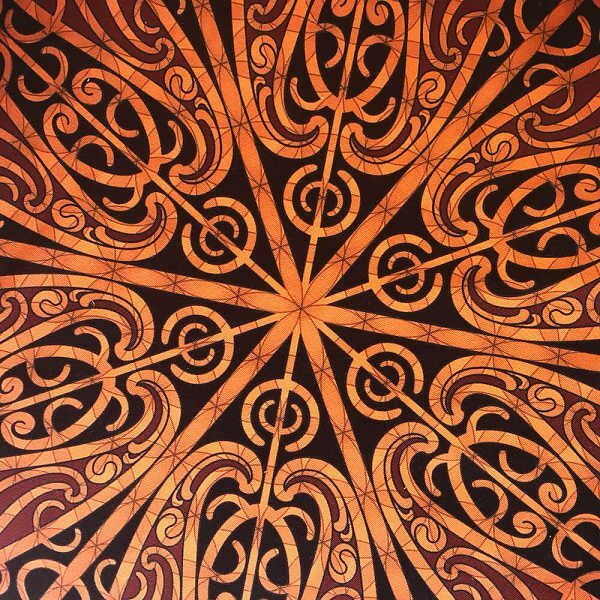 The bold red colour of this Maori design relates to the red clay of Kurawaka. A place where the first human being was created, a woman named Hine-Ahu-One. She is known as the Earth-formed Maiden. 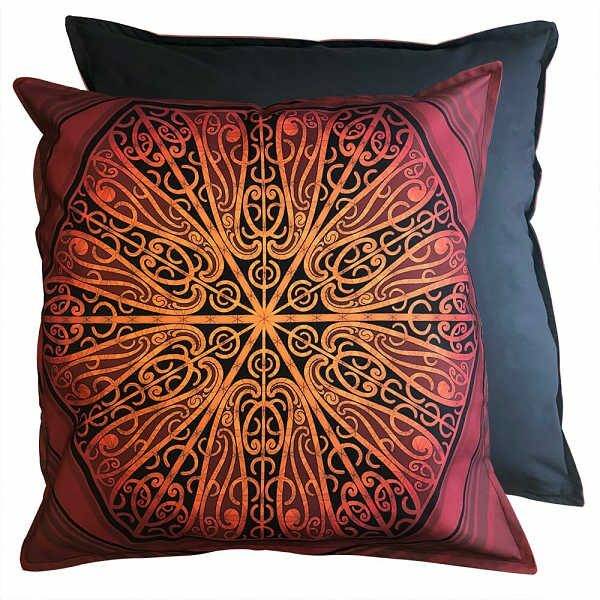 These divine cushion covers / bean bags, are another great art piece and Maori design from the artist Turumakina Duley. At 1.0m x 1.0m they are sure to be a talking point. Regardless of whether you use then indoors in lounge rooms, family rooms and children’s rooms. 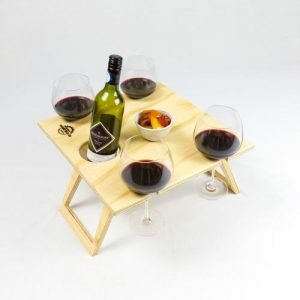 Or have them outside to enjoy lazy days on the grass in the sunlight and for picnics with friends and family, or at the beach. While relaxing at Kapa Haka or around the marae. Why not put three or four together and make yourself an instant day bed or use them around home as a place to sit and relax. 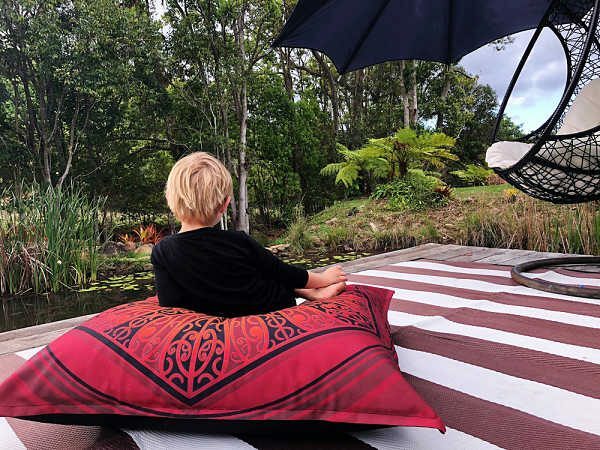 Furthermore, pair one of these bean bags with one of our Cultural & Maori designed recycled plastic mats, and you have all your floor seating requirements covered. Add them to childcare centres and schools to also meet cultural inclusion program targets. 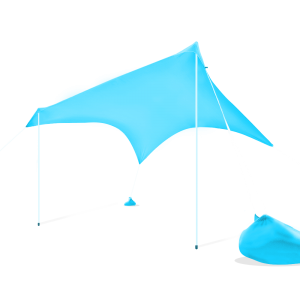 Soft covers are a step up from outdoor bean bags due to the polyester / cotton blend they are comfortable and hard wearing. Their size alone doubles the comfort rating! These oversized covers make comfy seating for one or more. 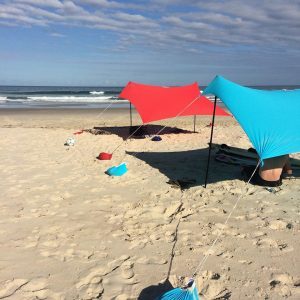 Take them along to your favourite festival or outdoor event. 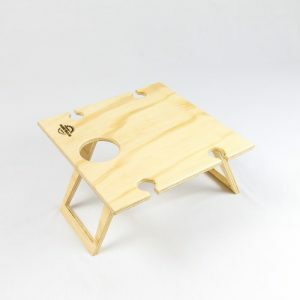 They are easy to carry to any musical treat or cultural festival where you will be the envy of the whole crowd. Bolster your sustainable “street cred” by filling this oversized cushion cover / bean bag with your choice of recycled materials. An old duvet or old washed and clean clothing. Use clean old towels or clean rags. You can also use traditional polystyrene beans too. A trick we love is using a bunch of your child’s soft toys. Especially ones you can’t bear to throw away, but need a place to store somewhere out of sight. Cleaning and maintenance are easy too. Spot clean the covers with a slightly damp cloth, or throw it (without the stuffing) into a gentle wash cycle. Hang it on the line to dry. 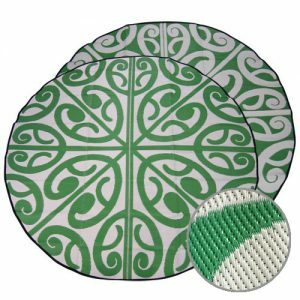 Match these up with one of our Korero Recycled Mats at a picnic or around your campsite. At the marae or in your classroom to provide a comfortable place to sit and read or contemplate. Made from: 50% Polyester / 50% Cotton Canvas. Name of design: Whaka Whenua (Grounding). NOTES: The cushion cover / bean bags come unfilled. Fill with beans, or use soft toys or used clothing for a sustainable alternative. These cushion covers / bean bags have two layers. Both the outer cover and inner lining are made from a Polyester/Cotton blend. Suitable to be used both indoors and out, although the fabric is not waterproof. Please store them indoors or under cover out of the weather / sun when not being used. Wipe down with a damp cloth to spot clean. The cushion covers / bean bags are can be handwashed or are machine washable on a gentle cycle - please ensure you remove the stuffing before washing. They can be ironed on a warm setting on reverse side. DO NOT tumble dry - hang on the line in the shade out of direct sunlight. Ideally wash by themselves as the colours may run. Wow!!! we love our Whaka Whenua Cushion is awesome, everywhere we go everyone asks where we got it from, i keep forgetting the name of the company, i wish i had some sort of business cards that came with my purchase to hand out to people. 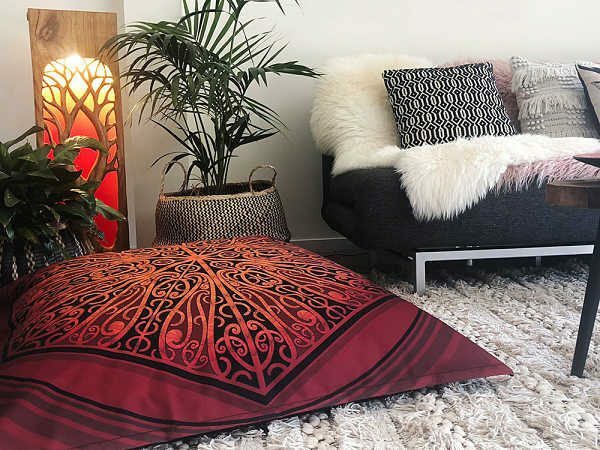 Seriously loving it and i may have to purchase another because i know when my whānau from oz are coming over soon and they of course always end up taking something home with them and this cushion will probably be one of them….lol. Thank you for such a beautiful durable product and even better it’s local in Auckland……Beauty!!! !